Peru’s President Pedro Pablo Kuczynski asked US counterpart Donald Trump to consider handing over former leader, Alejandro Toledo, to Peruvian justice, media reported Sunday. 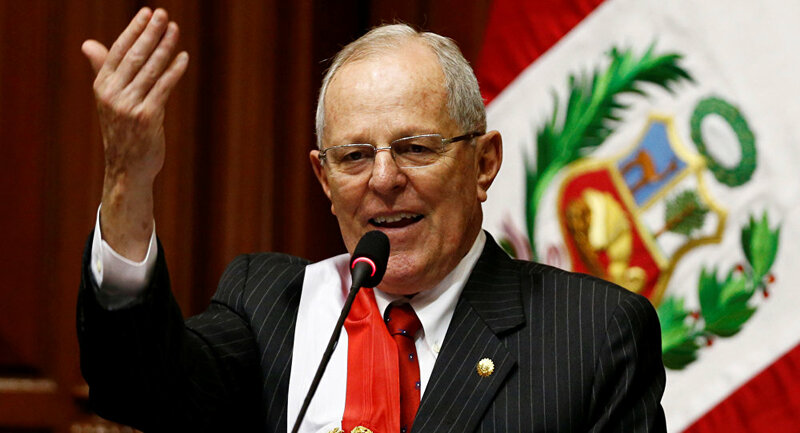 MOSCOW (Sputnik) — Kuczynski and Trump held a phone conversation earlier on Sunday where they touched upon the possible deportation of Alejandro Toledo, sources at Peru's Foreign Ministry told the national news agency Andina. The former Peruvian president is believed to be hiding in the United States. He is wanted in his home country on corruption charges for taking $20 million in bribes in 2001-2006.